Product portfolios are migrating from mass market solutions to highly specialised therapies, relevant to relatively small patient populations. Reimbursement is becoming increasingly complex and successful commercialisation means targeting multiple stakeholders – through multiple channels – before a prescription is even written. As a result, the pharma industry is exploring new sales and marketing models, evolving its strategies to meet these modern, multifaceted challenges.Traditionally, contract sales organisations (CSOs) have provided a flexible, cost-effective way for the pharma sector to adjust the implementation of its sales strategy. However, just how relevant can CSOs be in continuing to help pharma manage such major change? In July 2017, Ashfield conducted an online Advisory Board discussion to explore this topic. The participants included 14 senior sales and buying professionals from European pharmaceutical companies. The group debated the benefits, challenges and evolution of CSOs. Five follow-up interviews – including two with additional clients – and an Ashfield idea generation session were also undertaken.Dr Beth Rogers, author of Rethinking Sales Management and several articles and papers on the outsourcing of sales functions, assisted Ashfield in moderating the advisory board, undertaking the follow-up interviews and writing the report. The infographic summarises the findings, considering how the relationship between pharma companies and CSOs has developed and the characteristics that companies today look for in a strategic CSO partner. It also explores how that relationship is expected to change in the next five years, and how services and outsourcing models will evolve. Click here to download the infographic! 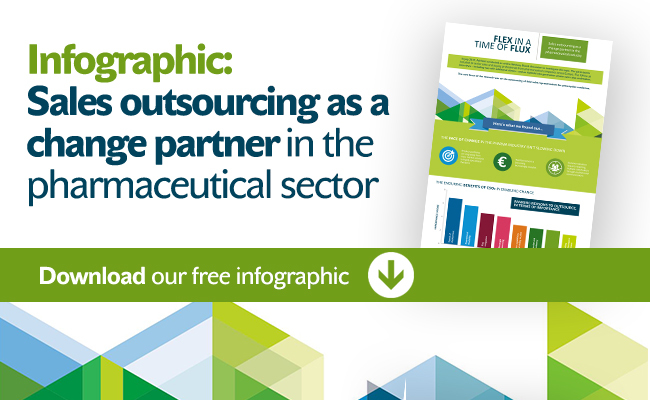 Is bigger always better in clinical outsourcing?